Unrepentant Scribbler: Coming soon from Hadley Rille Books! My latest short story, "Cover Her Ghost with a Feathered Cape," will be in the new anthology from Hadley Rille Books. 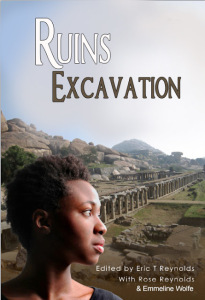 Due out later this month, it features an introduction by Nisi Shawl and stories about some amazing women archaeologists.